The 2017 Healthcare IT Marketing and PR Conference, which took place in Las Vegas in April, left attendees in the healthcare marketing community with quite a bit to chew on. From panels on content strategy to sessions highlighting SEO best practices, the gathering teemed with tips on how to make the most of your healthcare marketing initiatives. Here are some of the key points Agency Ten22 walked away with that may help bolster your next marketing move. The conference’s kick-off session touched on our tendency as marketers to home in on the negative feedback we get from prospects and clients. Our natural inclination is to want to fix these problems. Keynote speaker Gary Rhodes instead encourages marketers to focus on feedback from product “believers.” By shifting our focus to what it is that clients love about us, we honor the appeal of our products and services—and benefit internal employee morale in the process. This sentiment dovetailed passion and trust themes that cropped up in many of the conference sessions. One of the recurring messages at the show centered on providers’ search for vendor partners they can trust. Many presenters pointed to the intersection of subject matter expertise and passion as a great avenue for demonstrating value. By highlighting passion in our work, we can spur personal connection and build trust with the providers we serve. Honorable mention: While it’s rare that emails convince providers to buy something, memorable emails do influence who providers circle back around to when the time is right down the road. Honorable mentions: While providers didn’t profess dedication to any specific healthcare publications, they did attest to reading publications both inside and outside of the healthcare vertical with equal measure. LinkedIn was cited as the social media network of choice. Are you a provider with additional insights to offer on what does and doesn’t appeal to you in healthcare marketing? 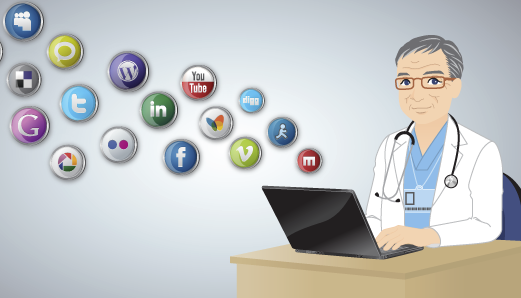 Are you a healthcare marketer interested in swapping tips? Contact us! We’d love to hear from you!